Are you ready to party on the beach? 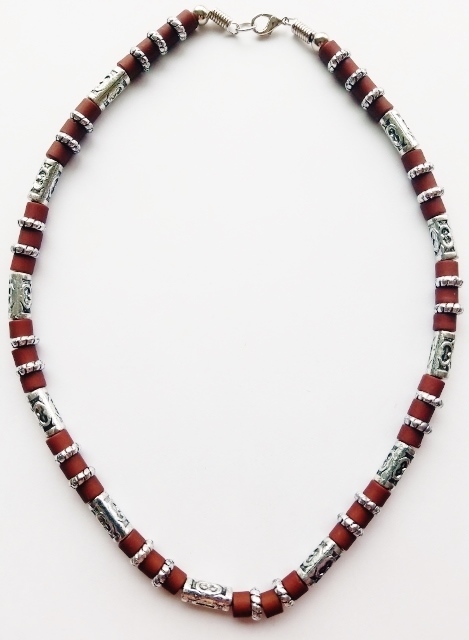 Here is a South Beach Men's Beaded Necklace, nicely crafted in Two-tone Surfer Style Choker from Salt and Water resistant materials: Chrome and Brown Colors Acrylic Beads, and Metal Spacers. The Necklace is approximately 18 1/2" long, and may come with an Extender per Request. Only highest quality Genuine Non-allergic materials used, lead and nickel free. Several more designs of Surfer Style Necklaces and Bracelets are available on our website.